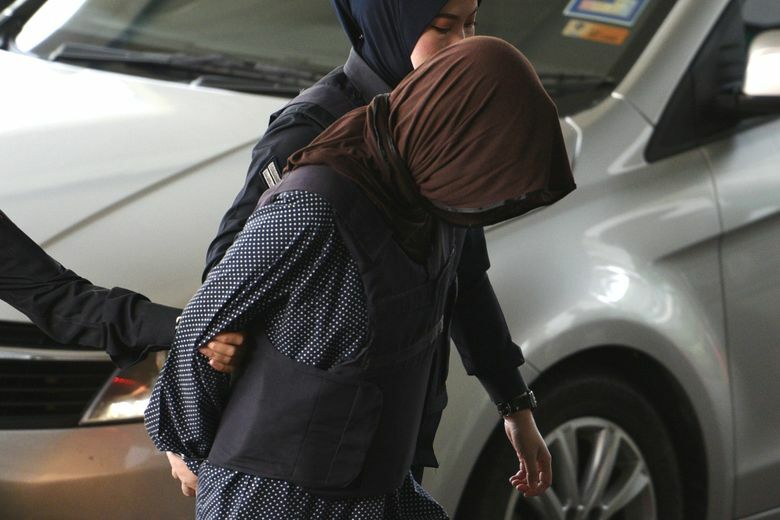 SHAH ALAM, Malaysia (AP) — One of two women accused of killing North Korean leader Kim Jong Un’s half brother by smearing VX nerve agent on his face was freed after two years of detention Monday when Malaysian prosecutors unexpectedly dropped the murder charge against her. Indonesian Siti Aisyah and her Vietnamese co-defendant, Doan Thi Huong, have said they thought they were taking part in a prank for a TV show. 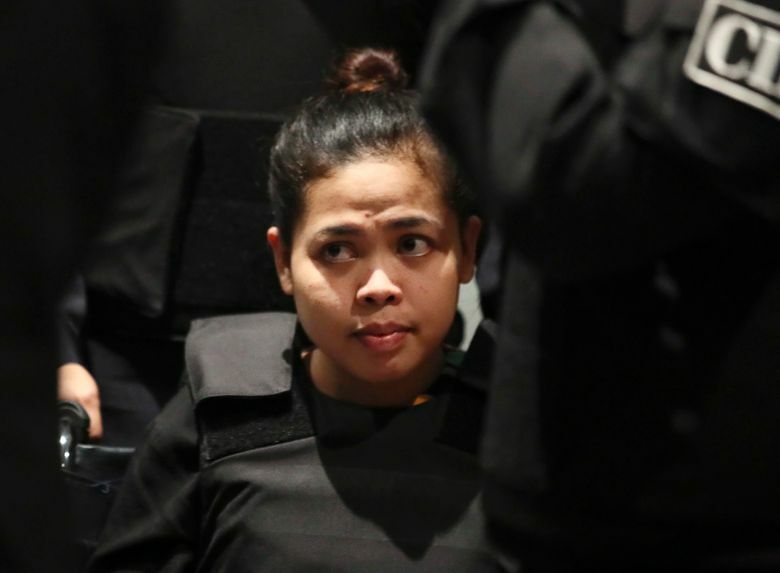 Prosecutors did not give any reason for the remarkable retreat in their case against Aisyah in the killing of Kim Jong Nam at a busy Kuala Lumpur airport terminal. 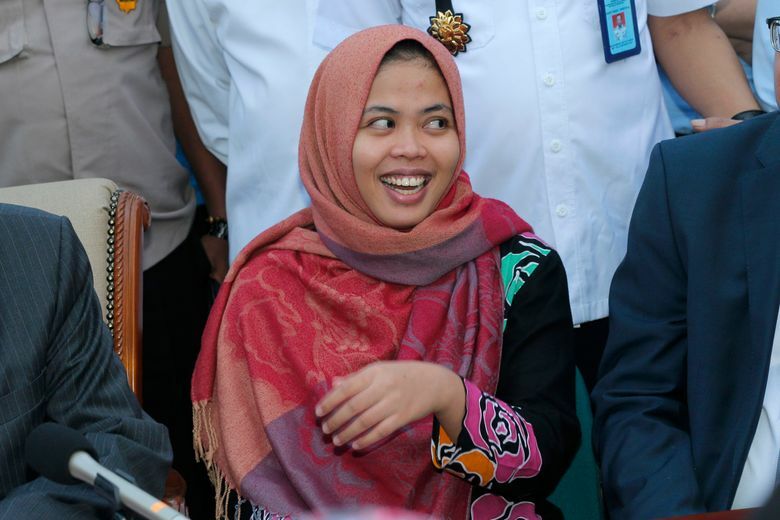 Indonesia’s government had lobbied repeatedly for her release. Vietnam has pushed less hard on behalf of Huong, and recently hosted leader Kim Jong Un for an official visit and a summit with President Donald Trump. 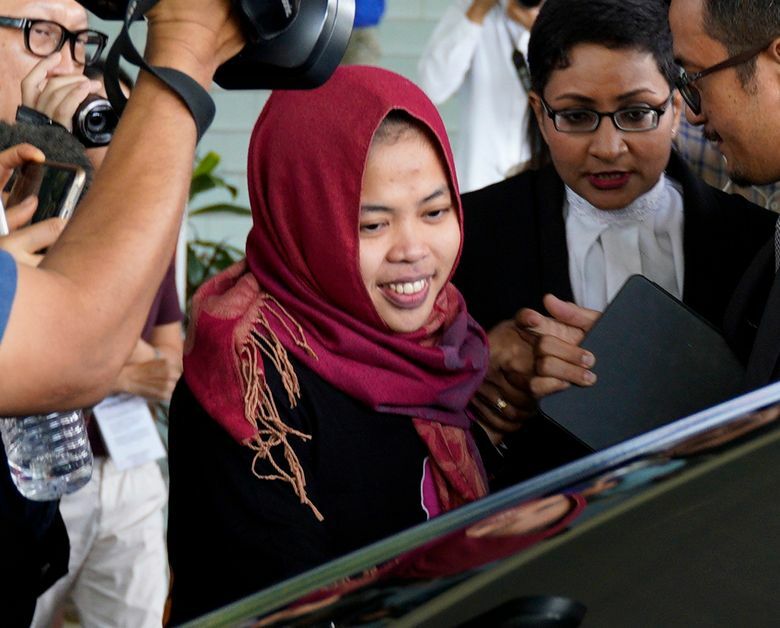 Aisyah cried and hugged Huong before leaving the courtroom and being ushered away in an Indonesian Embassy car. She told reporters that she had only learned Monday morning that she would be freed. 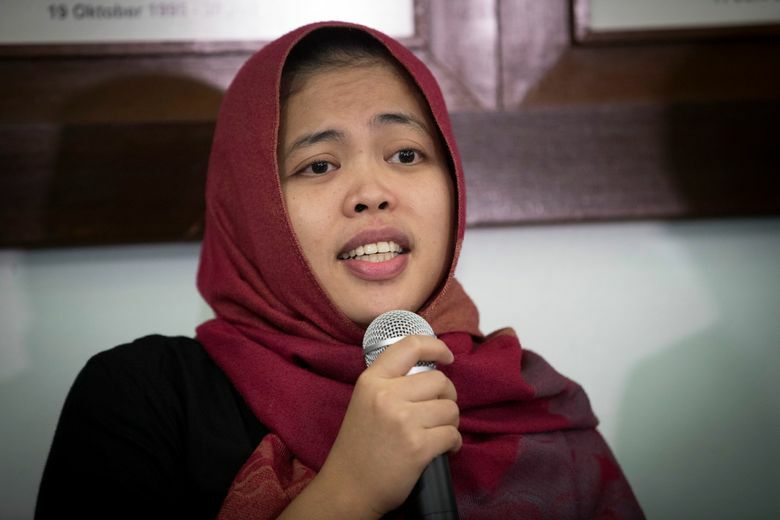 She flew back to Jakarta, Indonesia’s capital, later Monday and thanked the president and other officials for their help. Huong, who remains on trial, was distraught. “I am in shock. My mind is blank,” she told reporters after Aisyah left. The two women had been the only suspects in custody after four North Korean suspects fled the country the morning of Feb. 13, 2017, when Kim Jong Nam was killed. The trial is to resume Thursday, and prosecutors are expected to reply to a request by Huong’s lawyers for the government to withdraw the murder charge against her as well. 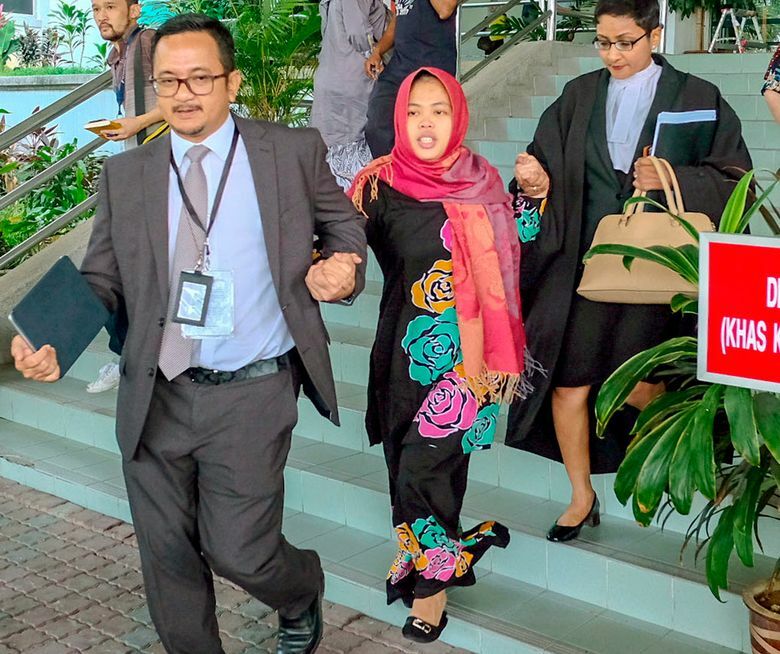 The High Court judge discharged Aisyah without an acquittal on Monday after prosecutors applied to drop the murder charge against her. Prosecutor Iskandar Ahmad said that means Aisyah can be charged again if there is fresh evidence, but there are no such plans now. 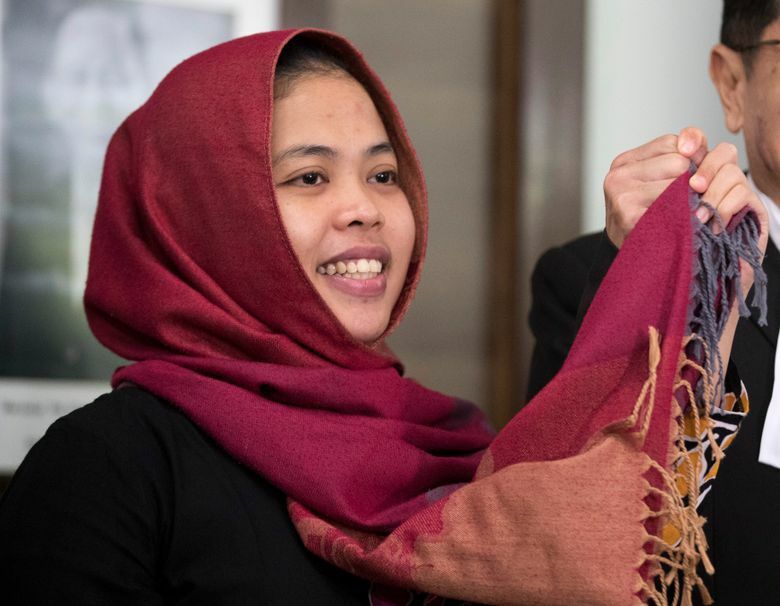 Aisyah’s release comes just a month before Indonesia’s general election and is seen as a boost to President Joko Widodo, who is seeking re-election. 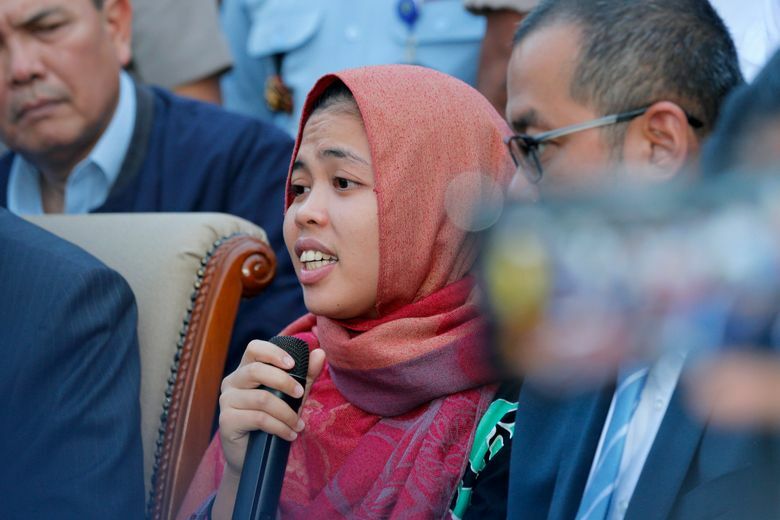 Aisyah, surrounded by government officials and a mob of reporters at Jakarta’s arport, struggled for words as journalists shouted questions. After a prompt from Indonesia’s law and human rights minister, she thanked the president and Cabinet ministers. It said Aisyah, a migrant worker, never had any intention of killing Kim. 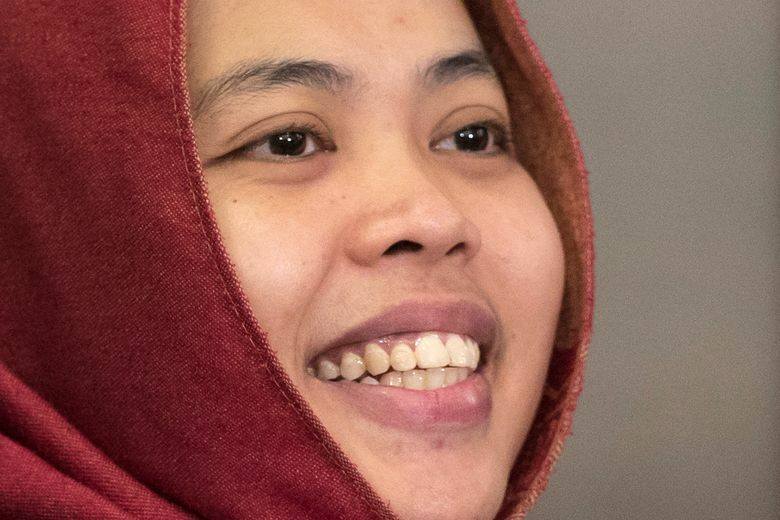 The ministry said that over the past two years, Aisyah’s plight was raised in “every bilateral Indonesia-Malaysia meeting,” including at the presidential level, the vice presidential level and in regular meetings of the foreign minister and other ministers with their Malaysian counterparts. 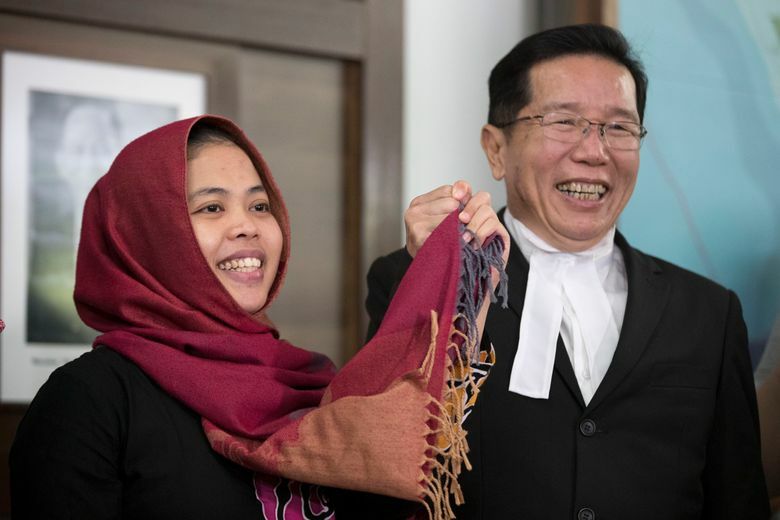 Huong’s lawyer, Hisyam Teh Poh Teik, said after Monday’s court session that Huong felt Aisyah’s discharge was unfair to her because the judge last year had found sufficient evidence to continue the murder trial against both of them. 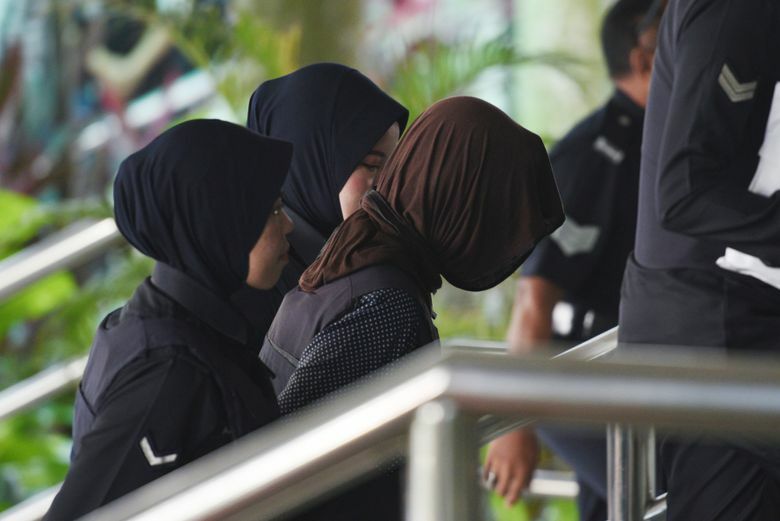 A High Court judge last August had found there was enough evidence to infer that Aisyah, Huong and the four missing North Koreans engaged in a “well-planned conspiracy” to kill Kim Jong Nam. The defense phase of the trial had been scheduled to start in January but was delayed until Monday. Lawyers for the women have previously said that they were pawns in a political assassination with clear links to the North Korean Embassy in Kuala Lumpur, and that the prosecution failed to show the women had any intention to kill. Intent to kill is crucial to a murder charge under Malaysian law. Malaysian officials have never officially accused North Korea and have made it clear they don’t want the trial politicized. Kim was the eldest son in the current generation of North Korea’s ruling family. He had been living abroad for years but could have been seen as a threat to Kim Jong Un’s rule.